We arrived back at 30 Rock at 10:00pm even though the ticket told us to be there at 10:45. 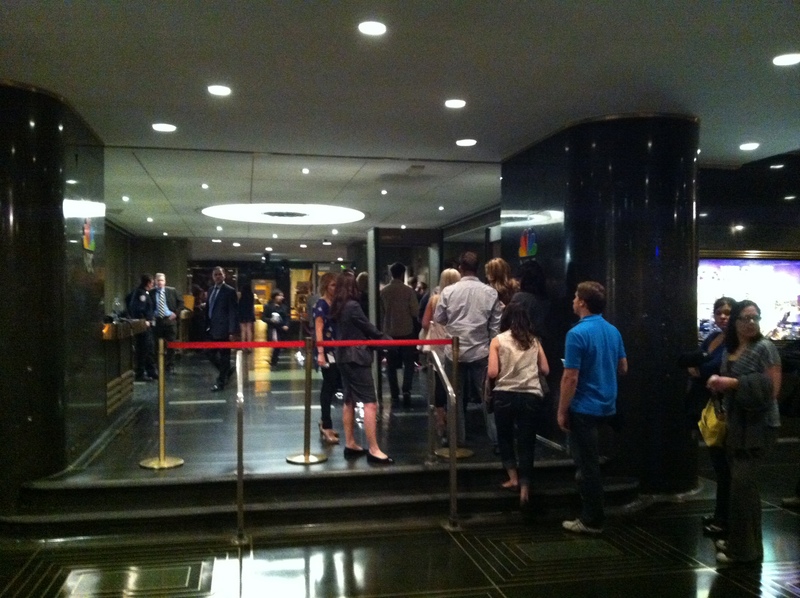 We walked into the lobby to meet 3 very large crowds of people who already had their “real” SNL tickets. It was packed and it seemed like everyone who had a real ticket showed up! We quickly found our line at the end of the lobby. The NBC pages did a good job getting everyone lined up where they should be. They were very strict about lining up in numerical order. At around 10:55 they split the stand-by line up dividing the 120 or so people into 2 lines of 60. At this point everyone who had a real ticket was already out of the lobby and in studio 8H! We were so nervous! Around 11 they asked the first 30 in our line, us included, to go ahead and go through security. This made us feel a little better but we were getting close to show time! Then they has us line up outside the elevator to await our fate! “You are not guaranteed to see the show until you are physically sitting in a seat” we kept hearing from the pages. But everyone knew once you got on the elevator you were in. That’s all we wanted. With the show starting only minutes away, a lot of activity was going on in the lobby. 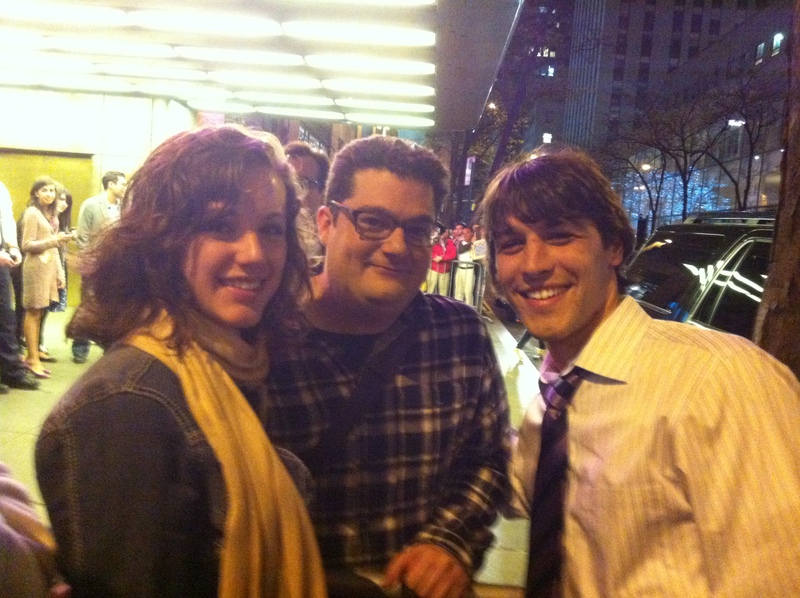 The electric guitar player for the SNL band walked by and I was able to get a picture with him! Cameron Diaz passed by and went up the elevator to studio 8H. Supposedly she goes to almost every show! I couldn’t tell what was bigger – her mouth or her high heels. Both were very large and very distracting. Olivia Wylde also passed by – she is dating Jason Sudekis. Yes, Olivia Wylde is dating Jason Sudekis. Les and I talked about this for a good 15 minutes…Senator Al Franken of Minnesota walked by – he was a former cast member and writer of the show. Maybe you remember Stuart Smalley? During all this activity they were slowly letting those in front of us board the elevator. They had us lined up in two rows of 15. Bit by bit they let 2 people on, then 4, then 2 more, then a couple more, then before we knew it, there were only 2 people in front of us! But it was getting close to show time! At 11:25 we heard the phrase, “we can accept the next 4” and just like that, we were swooped up into an elevator and on our way to the show. Turns out Leslie and I were the last two people they let into the show that night! Only 14 people made it to the live show! They gave us wristbands and ushered us to our seats – which much to our surprise were right next to each other. Since NBC has no clue who is NOT going to show up, any seat could be available. We were told to prepare to be separated if we got into the studio so we were prepared for the worst. The show didn’t start for another couple minutes so we had just enough time to catch our breath. On center stage, Jason Sudekis was doing a little stand-up act to warm up the audience. He gave the people in the “crappy” seats a hard time for not being able to see any stage sets. Les and I actually had incredible seats – right in front of the musical stage in last row with a bird’s eye view of everything. Absolutely perfect! After Jason had loosened up the audience, Keenan Thompson came out and sang a song much like that of a “Whats Up With That” gig. Pretty funny and entertaining as well. For what it’s worth, I thought Josh Brolin did a fantastic job hosting! He looked comfortable, loose, and mingled extremely well with the cast. I gauge a lot about the host by their monologue – you can tell if they are nervous, stiff, scared, excited, good at what they do, etc. Plus I heard hosting SNL is one of the toughest things an actor can do – it’s what separates the men from the boys! Gotye was incredible! Their hit song, Somebody That I Used To Know, is really hard to sing, and they nailed it. Studio 8H was originally a radio studio so it was built for music. We learned through our studio tour it has perfect acoustics so you can really tell if a band stinks or if a singer is flat. It does not go unnoticed. They are really talented. Personally, my favorite sketch was the Slow-motion Hallway. It was so clever! The writing for that skit was awesome and the actors nailed it! I thought it was brilliant! After the show we waited outside 30 Rock for a little while because we heard you can catch some of the actors when they leave for some pictures. 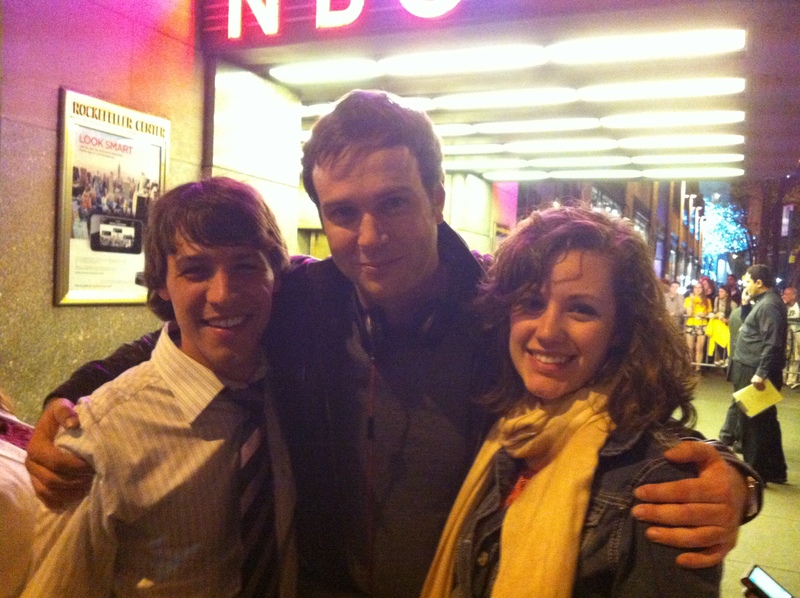 We ended up getting pictures with Taran Killam, one of the shows rising starts who continues to impress me, Fred Armisen, who is just as weird in real life as he is on the show, Bobby Moynihan, who along with Taran seemed to be the nicest people in the world, and Vanessa Bayer. 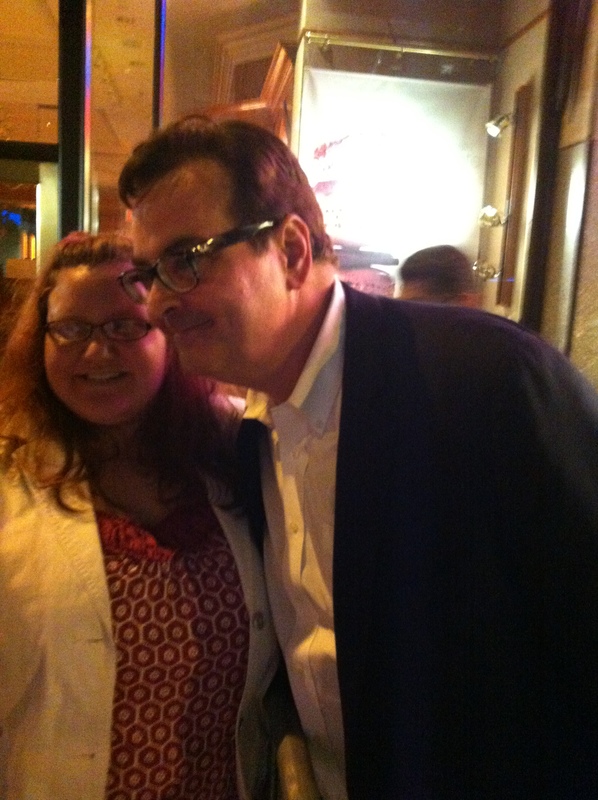 Steve Higgins, the announcer for Late Night with Jimmy Fallon, also walked out. Funny guy Steve is! 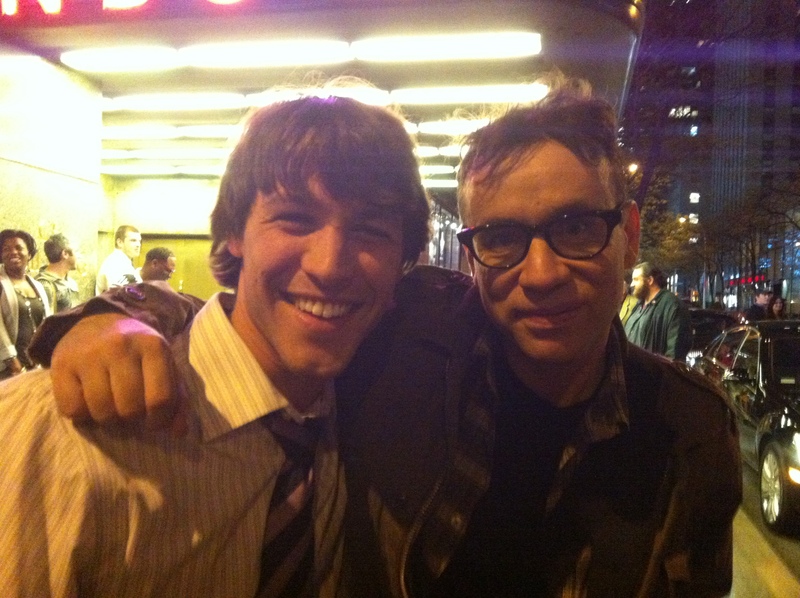 He is a brilliant writer and producer for SNL who has earned 5 Emmy nominations! After that we called it a night! A comfy bed never felt so good! Posted on April 24, 2012, in Life and tagged Al Franken, anniversary, Bobby Moynihan, bucket list, Cameron Diaz, Fred Armisen, funny, Gotye, Improv, Jason Sudekis, Jimmy Fallon, Jimmy Higgins, Josh Brolin, Keenan Thompson, Late Night with Jimmy Fallon, les, life, NBC, NBC pages, new york city, NYC, Olivia Wylde, Saturday Night Live, Senator Al Franken, slow motion hallway, SNL, SNL Aug 14 2012, SNL tickets, Stuart Smalley, Taran Killam, vacation, Vanessa Bayer. Bookmark the permalink. 2 Comments. 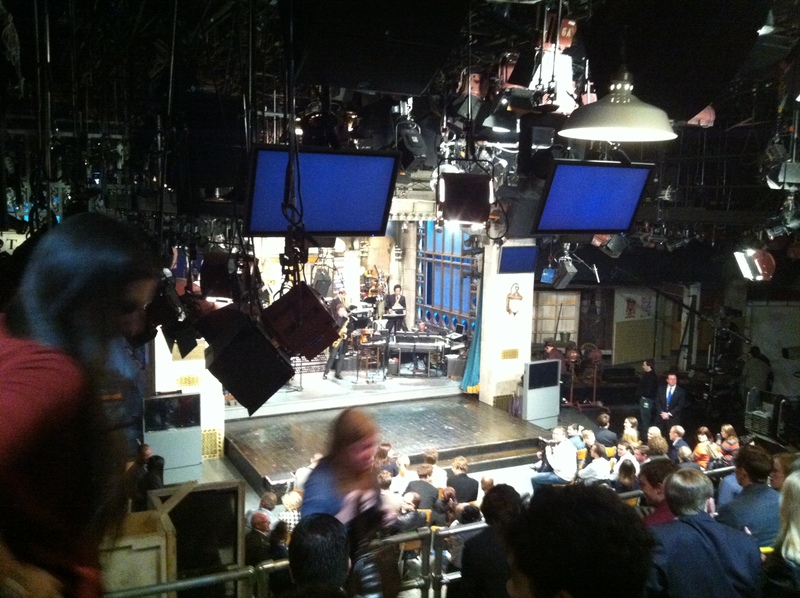 I go to New York every summer and because of the fact that I go during summer I have never been able to attend SNL so I am insanely jealous. Congrats! Still have to tune into that episode…Hulu here I come!